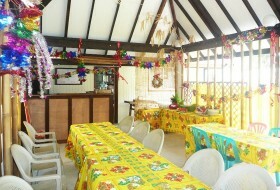 The Pension Ataha is located 2 kms to the airport in the small village of Vaiuru. It is divided into two houses, mountain side, facing the lagoon and the many islets of Raivavae. 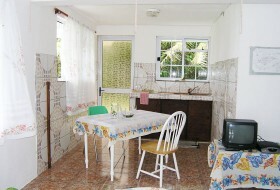 Each house features comfortable rooms with private bathroom, kitchen, dining room and lounge. Odile and Terani, natives of the island will be delighted to welcome you among them for a quiet and authentic stay with family or friends.